In a couple of hours from now, we will have 41 days until Christmas. I know, I know, it's not even Thanksgiving yet. Last year, I would have been angry with myself for even thinking of announcing a countdown before turkey day. However, last year, since Thanksgiving hit so late, I felt like I missed out on Christmas fun. As we have another late November holiday again, I figured screw it. Bring on the holly jollidays. I like to do my online shopping early, since shipping is a PITA in December. 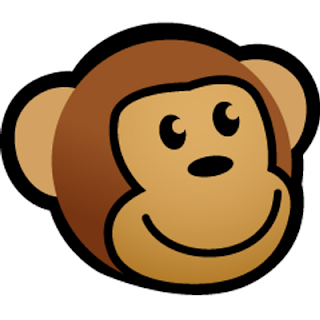 One of my favorite sites for fun presents is ThinkGeek. What do they have for us this year? Harley Quinn jammies. Giant sledgehammer not included. 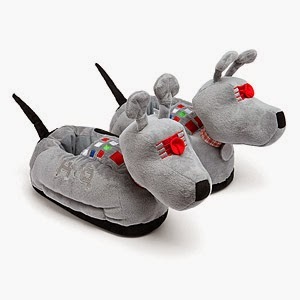 Brick socks - the only ones you'd actually want to step on. 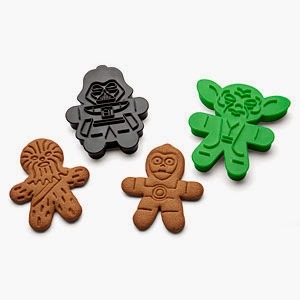 These are the cookies you are looking for - Star Wars gingerbread! 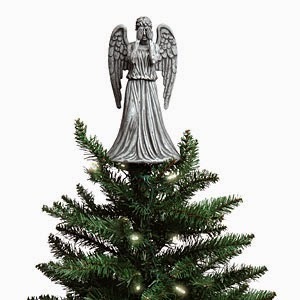 I dare you to put this Weeping Angel topper on your tree. Don't blink!